Who else is busy with the growing season right now? Notice I said growing season, not gardening season. Yes, I am busy in the garden, but aren't we all busy growing our lives right now? This time of year always invigorates me with new ideas. Sowing and reaping takes all forms. A few years ago I wrote about my rhubarb man, an old man who sold me a huge order of rhubarb every May for a very good price. It would be canned, and frozen, and made into jam, and last all year, sometimes two. The last time I saw him he was quite frail and his wife was complaining about how hard the rhubarb growing business was on him, and the next year I drove by and saw the tell tale signs of his passing. The yard sale, his wife's new car, and I never saw the rhubarb-for-sale sign ever again. We put in a patch this year, so in the future we'll have our own. For now, I was stuck paying an outrageous price for a couple lovely stalks at the farmer's market. It gave me a scant quart for the freezer. It left me with a bitter taste in my mouth. Kind of like rhubarb. This year we had a true spring. Unlike in recent years where it would be winter one day and summer the very next, it's been a long cool spring punctuated by rain showers and sweater weather. Many of my favorite spring flowers are delicate buds of violets, buttercups, wild flowers, and clover. They stuck around longer than usual. I love how they make a nice bouquet in a baby food jar which fits perfectly on the window rail. I made tiny jar bouquets for all of our windows and they are so light and secure that they don't even move when I forget about them and suddenly fling open the window. It's a tiny touch of beauty. Can you spot the lucky clover? Right now it's a demanding time, so I'm searching for tiny touches of beauty in life. Mile markers of goodness. Discreet flags of hope placed purposefully to cheer me on in the race. This time of year always brings so much work...joyful, but time consuming work. The cyclone of the Little Mister, for as I said previously- he has long outgrown the duckling phase, spins in constant motion blurring the big picture. Boys surround you, I read somewhere, once. Get out of my head! How did she know?? 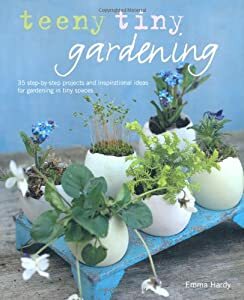 The eggshell garden on the cover grabbed me right away and pulled me into a world of herb buckets, fairy gardens, and all kinds of delightful growing projects. Each one is a piece of eye candy. I could look at the pictures all day. It's perfect reading for this time of year, light and inspirational. I can't wait to try the edible kid's garden. Meanwhile, I'll keep looking for tiny bits of charm that grow amongst the weeds, for there are bound to be some. I love all the symbolism in your postings! This is another winner. Beautiful pictures, too! 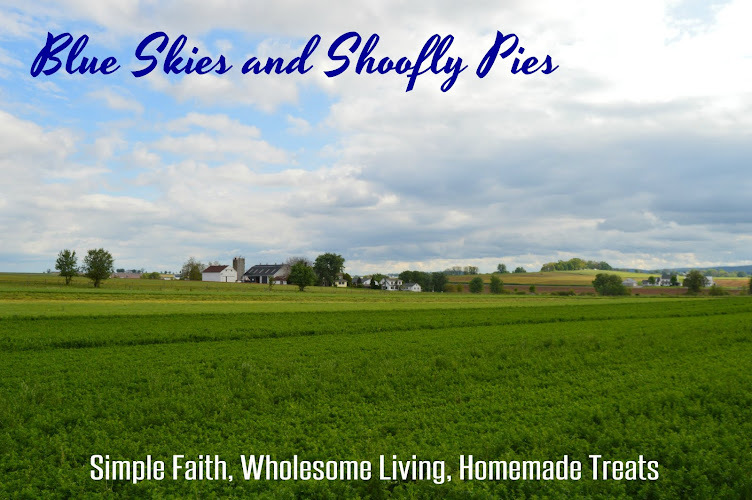 This post makes me so happy because my head is so full of thoughts and such, and it reminds me to spot the "Discreet flags of hope placed purposefully to cheer me on in the race." What an inspirational visual. I have to make a sign for my door with that saying - bravo! Your pictures are so adorable. I've been saving baby food jars from a friend with the intention of making spice jars for my kitchen drawer but now I want them all to have little flowers in them around the house, making me happy. Thanks for brightening my day. Kisses and hugs to your little cyclone. Love this post! And the flowers on the window sill. And fairy gardens are featured in that book?! I must track it down and read. I LOVE fairy gardens, although I don't have one (YET) of my own! Love the baby food jars with flowers. What a lovely idea! And just a side note, your comment on FB made me think again about the fact that I hadn't read any of your blog posts in a long time. I went to my RSS reader and couldn't find your blog there at all. So strange! I KNOW I had added it several months ago but seriously, it was not there at all. So I added it again but it still wouldn't show up right. Finally the 3rd time I got it to work and now I think I'm finally set to read your lovely posts when they get written! No wonder I wasn't reading any of your posts! That's so interesting Lydia, because I keep hearing anecdotes about boys being complete hurricanes while the gentle baby girls sit placidly in place. Your daughter sure has blown away that myth! She sounds just like our son who is naturally caffeinated and into EVERYTHING. He's smart, too. Smart and strong. I'm scared. So glad you're getting my posts now. I've had the same problem with rss feeds before. You would think the technology would be perfected by now. Oh well.